Complimenting the high quality Aluminium Bi-fold doors we sell we have added to the range with these Part Q sets. Each set has high quality tested secured-by-design multipoint locking giving you piece of mind. 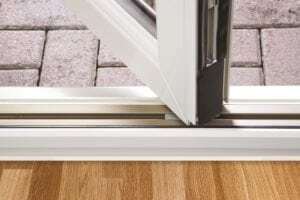 The glazing is laminated and has a fantastic glazing U-value of 1.2W/m²K. Each set is available for delivery between 7-10 days. Each set has matching colour door handles and hinges. 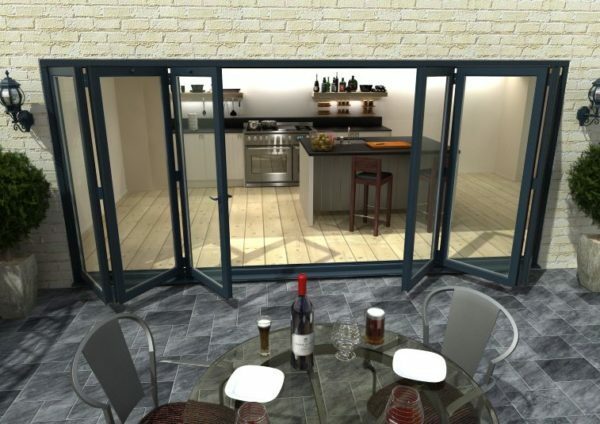 To ensure you comply with the Part Q of building regulations we can offer these new Aluminium Grey Bi-fold doors. 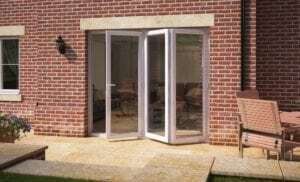 Each set has fully tested secured-by-design multipoint locking system along with laminated double glazing which offers a glass U-value of 1.2W/m²K with a total system U-value of 1.6W/m²k. 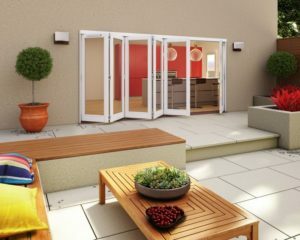 Each set is supplied with the frame and door leaves which has the glazing and hardware pre-fitted. 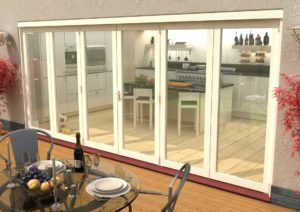 Delivery is between 7-10 days which means you could have them fitted within two weeks of ordering. 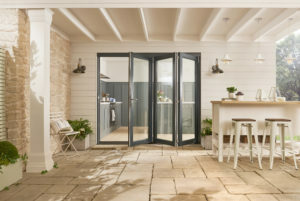 A typical 3 door system will take less than a day provided the opening has been created. 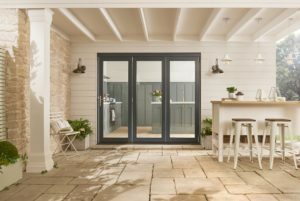 If you do not see the size you need we offer made to measure options, please email us at enquiries@doors-more.co.uk and we will quote you. 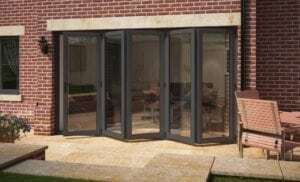 To compliment the doors we also offer a range of Aluminium windows, just contact us for a quote! Glazing: Low E, 24mm Argon Filled Double Glazed Unit With Laminated/ Toughened Safety Glass, With A 1.2W/m2K rating.